For the large majority of people with atrial fibrillation, the hard part comes in the weeks or months after the diagnosis, while you are in the midst of making the tough decisions on the right treatment approach, and then while your treatment is being instituted. Eventually, however—and very often after a surprisingly brief period of time—for most people with atrial fibrillation everything stabilizes. Successful treatment is found that both gets rid of symptoms, and is well tolerated. If you have atrial fibrillation and you and your doctor have arrived upon therapy that controls your symptoms and reduces your risk of stroke, stick with the program. Taking your medications as prescribed—especially your anticoagulant medicine—is critical. If you are having problems with your anticoagulant medication, talk to your doctor about it right away. Don’t wait. While controlling your symptoms is very important, what’s especially important is preventing a stroke. So your anticoagulation medication is something you have to get right. And that’s something you have to do together with your doctor. Now that your treatment is settled upon, this is a good time for you to take stock. You have a cardiac arrhythmia that is itself a problem—but that problem has been addressed. Now you should ask yourself what information do I have about myself that I didn’t have before the atrial fibrillation? You probably know a lot more about the state of your heart and your cardiovascular system than you did before. Evaluating such things is routine in patients who are diagnosed with atrial fibrillation. Use that information. It may be that your atrial fibrillation has some now-identified underlying cause. Whether that underlying cause is reversible or is a chronic condition, you will need to make sure you and your doctor have fully addressed it, that your medications (if any) have been optimized, and that you have adjusted your lifestyle and habits to minimize the risk of future problems. But before you write off your atrial fibrillation as being just one of those things, do some soul searching. Researchers have now learned that in many more instances than previously thought, atrial fibrillation is a lifestyle disease, a disorder that is produced by being sedentary and becoming overweight. Most doctors have not absorbed this information yet, but the evidence looks pretty strong. If “sedentary and overweight” describes you, it gives you an important option not only for making your atrial fibrillation less of a problem, but also for improving your overall health and reducing your risk of further cardiovascular problems. Changing your diet, losing weight, and beginning an exercise program may be the best thing you will ever do for yourself, not only in terms of your atrial fibrillation, but more importantly, in terms of living a longer life without disability. This kind of lifestyle advice, of course, is nothing new. You’ve known about it all along. But perhaps the fact that you now have atrial fibrillation will wake you up to the reality that poor lifestyle choices are not merely a theoretical risk, but may have already taken a real, tangible, toll on your heart. With any illness the best recoveries are made—both physical and psychological recoveries—by the people who take ownership of their own health to the fullest possible extent. Taking control of your health is empowering, and has real, measurable benefits, physically and mentally. Because it’s not too late to do something about it, now may be a good time to take stock and reevaluate your priorities and your lifestyle choices, and to to make the changes that will lead to better health. There is no better time to take control than right now. If a loved one has been diagnosed with atrial fibrillation, your support can make all the difference. Here are some things you can do to make your support particularly effective. Learn everything you can about atrial fibrillation and the treatment options available. 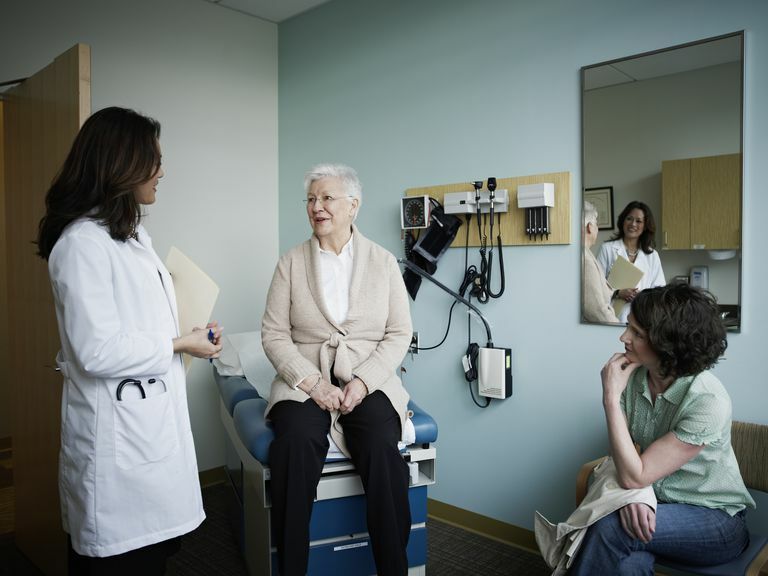 Having a person with a little knowledge to talk to can be of immense help to someone with atrial fibrillation, especially when they are in the initial, decision-making phase. Go to doctor appointments with your loved one. Help him or her to prepare the list of questions that the doctor needs to address, listen attentively to the discussion with the doctor, and help your loved one digest the information obtained during the visit. Make sure you understand the medications your loved one is taking, the reasons for taking them, and how they are to be taken. Help them to remember to take prescriptions as they are intended, and if there is any confusion about it make sure the confusion is cleared up with the doctor. Keep in mind that stroke is a complication of atrial fibrillation. Be alert to possible signs of a stroke, and if you become even slightly suspicious that a stroke may be happening, get your loved one to a medical facility immediately. If it is a stroke, time is critical, and minutes can make a huge difference in the odds of recovering with minimal disability. Remember FAST—if you see Face drooping, Arm weakness, or Speech difficulty, it’s Time to call 911. The fact that atrial fibrillation has occurred may suggest that it is important for your loved one to make some serious lifestyle changes. Not smoking, eating a healthy diet, losing weight and getting plenty of exercise (in addition to taking any necessary medications to control diabetes, hypertension or cholesterol) may be critical not only for reducing atrial fibrillation, but also to help prevent other, more dangerous cardiovascular diseases. And one thing we know about such lifestyle changes is that it is extremely difficult for an individual to do these things by themselves. But if you join in to make the same lifestyle changes—and it becomes a household endeavor—the chances of success will be much, much higher. And everyone becomes a lot healthier. At the end of the day, taking better care of yourself may be the best thing you can do for a loved one with atrial fibrillation—or with any other type of cardiovascular condition.